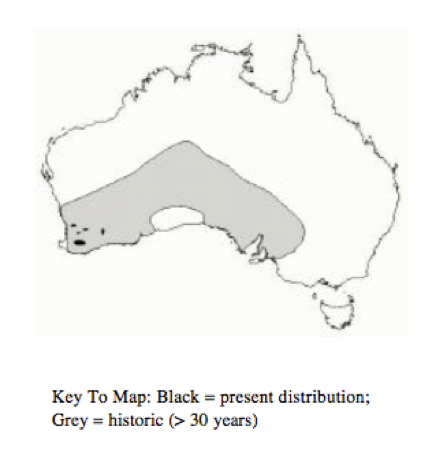 Now their original populations are confined to two small jarrah forest areas in Dryandra and Perup. The Perth Zoo also manages a successful and important breeding for release program and Numbats have been reintroduced to a number of sites with varied success. Fewer than 1000 of them remain in the wild and yet logging continues in their last refuges. The effects of logging on Numbats have never been scientifically studied but the recent DBCA Biodiversity Audit II found logging and inappropriate burning to be a threat to their survival (Swan Regional Nature Conservation Plan). Numbats rely on hollow logs for breeding and shelter and have very large ranges – necessary because of their reliance on such a large number of termites each day. They are vulnerable to predation by cats and foxes. Logging, and the post logging burn, disturb and sometimes destroy hollow logs and leads to an increase in fox and cat numbers. In the absence of clear scientific evidence, but with the benefit of common sense and given the fact that fewer than 1000 of these wonderful creatures remain in the wild no logging should be allowed in their last refuges. Numbats are Western Australia's fauna emblem. We acknowledge the Traditional Owners of this land and pay our respects to their Elders past, present and emerging. We acknowledge that this land was and always will be Aboriginal and Torres Strait Islander land.